Amazing & Amusing Accessories for Your Fur Babies. 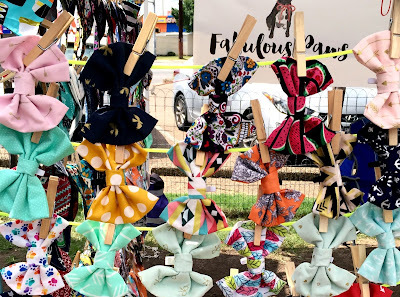 Personality Filled Collars, Bow Ties, Bandanas & More. I may be biased, but I think it’s fair to say that Fabulous Paws has struck gold with the wonderful marriage of several things that make this world fun! Puppies, Patterns and Nerds. Ok I'm totally biased on those grounds, but beyond that, Brittanie Varena is a legitimately talented crafter hailing from North Austin. Just a quick look at her array of goods and you'll see her passion for sewing one-of-a-kind accessories for pets. Anyone can buy a mass made collar or leash, but where's the fun in pure utility? 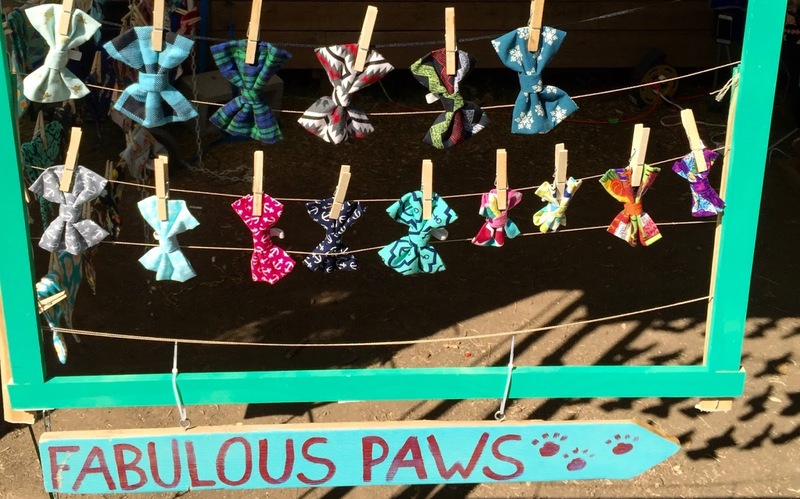 What about letting your pet make a statement with a bow tie, bandana or collar as special as they are? 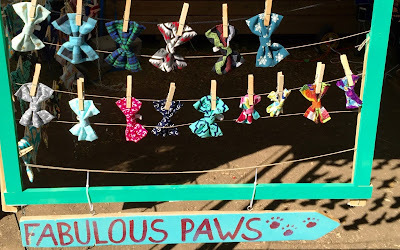 Fabulous Paws was born like many successful craft businesses, out of a need. Brittanie has three dogs and has long wanted goodies that suited their unique personalities. She came to find that many other pet owners do as well. 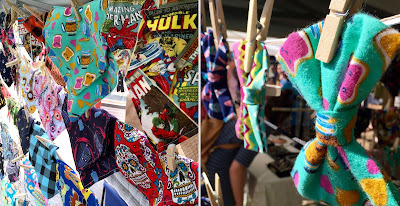 As such, she chooses a wide range of amazing fabrics full of colors, designs and character! I love seeing both popular culture references and obscure nerd culture references. I personally had to get a Doctor Who themed bandana and bow tie for my fur babies. She also offers a lot of pretty (less nerd cult) patterns. The hardest part is picking just one, not finding one that suits you and your pet. In addition to wonderful taste in textiles, Brittanie also exhibits great craftsmanship. You can't give a pet something poorly made and expect it to last. Plus, she's always testing out new designs and treats your pet will adore. Crafters like Brittanie from Fabulous Paws makes me wish I had more animals to outfit so adorably!